Yesterday I had a catchup with my mothers group (8 years now) at our gorgeous friend Ika's house. 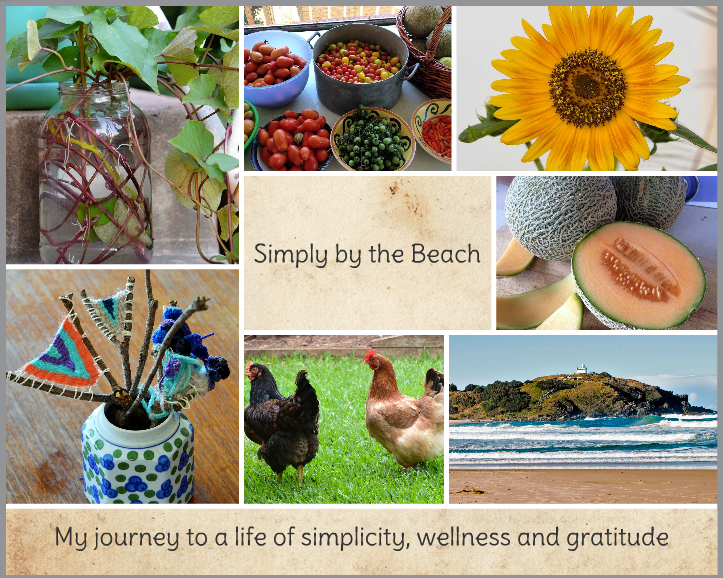 She has an amazing garden growing all her kind of foods - coming to Oz from Bali. She cheerfully showed me around and we picked and pulled up lots of goodies including cassava stock and leaves, sugar cane, 2 types of chilli, kaffir lime leaves and kaffir limes, a couple of choko's, normal limes, and macadamia nuts (and she kindly lent me the cracker to enjoy them). She then shared one of her traditional recipes with me called Daun Ubi which is Stewed Pounded Cassava Leaves cooked in coconut milk and so we had that for dinner. I added a few ingredients from my garden (lemon grass, turmeric, bay leaf, shallots and garlic) and we had a side of crispy coconut chicken to go with it. It was deliciously eaten up by everyone so now I cant wait for my own cassava to grow so we can make it again. Have you tried making anything new and different lately?